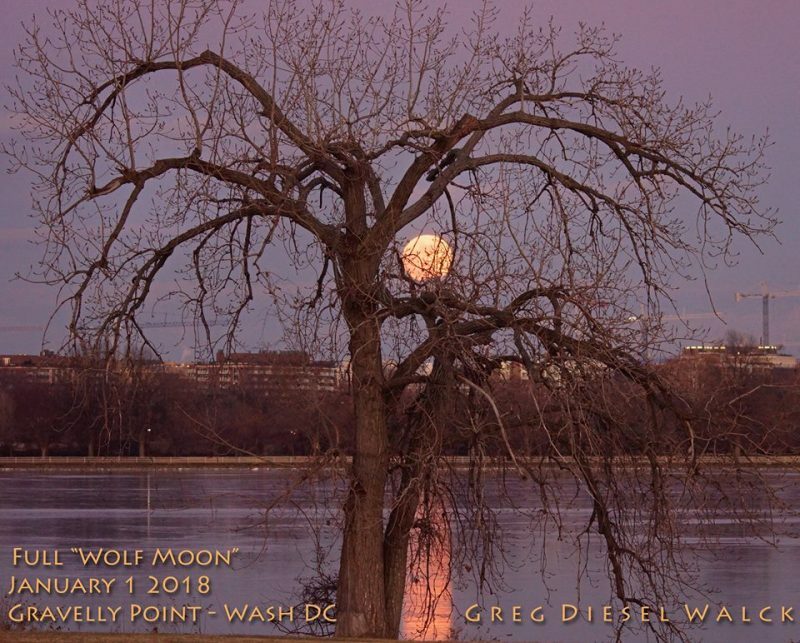 It was a great way to start 2018! 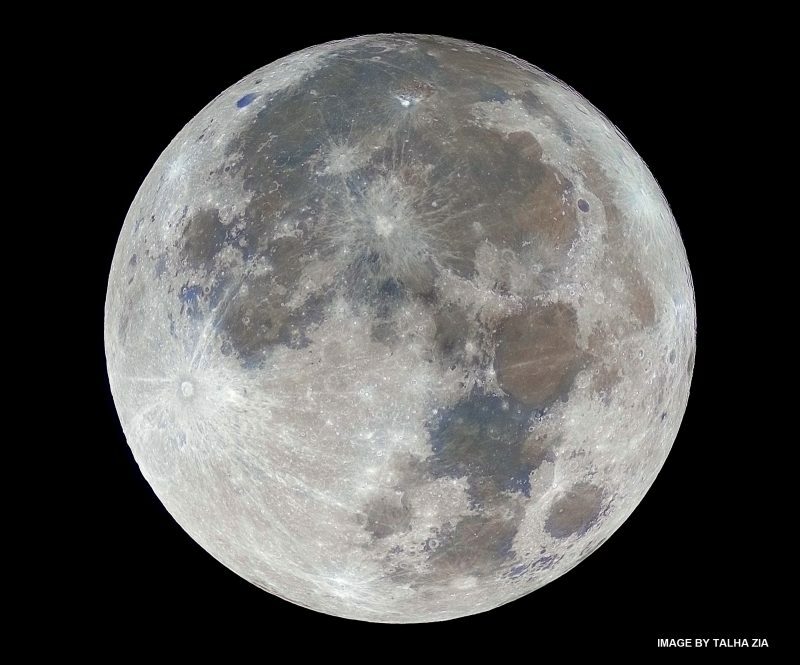 The year started with a full moon that happened also to be the year’s closest and brightest supermoon. 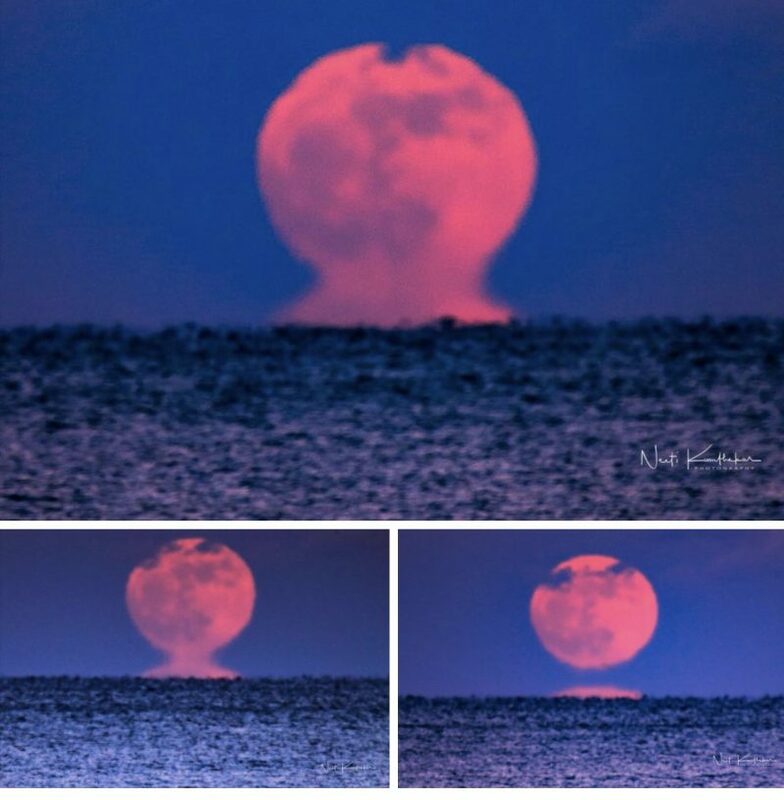 Neeti Kumthekar in Belmar, New Jersey caught the supermoon rising with a mirage effect. 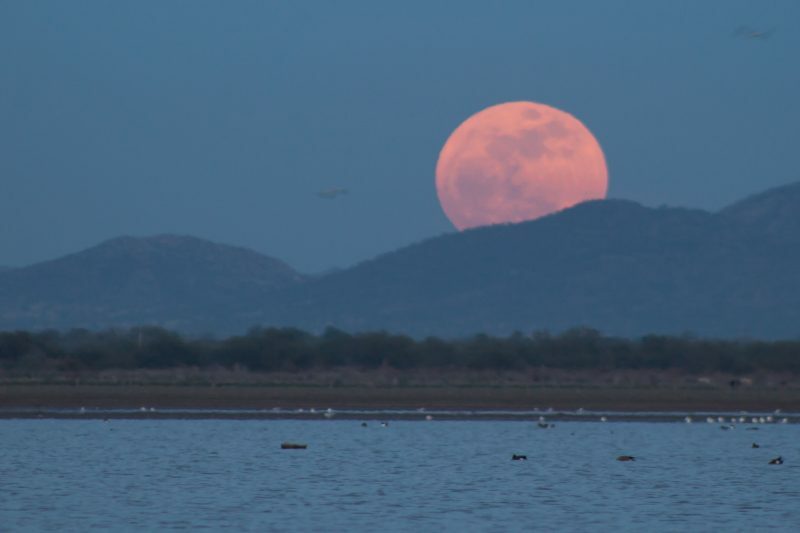 The rising or setting moon or sun can exhibit a mirage when there are air layers of different temperatures near your horizon, for example, over an ocean. 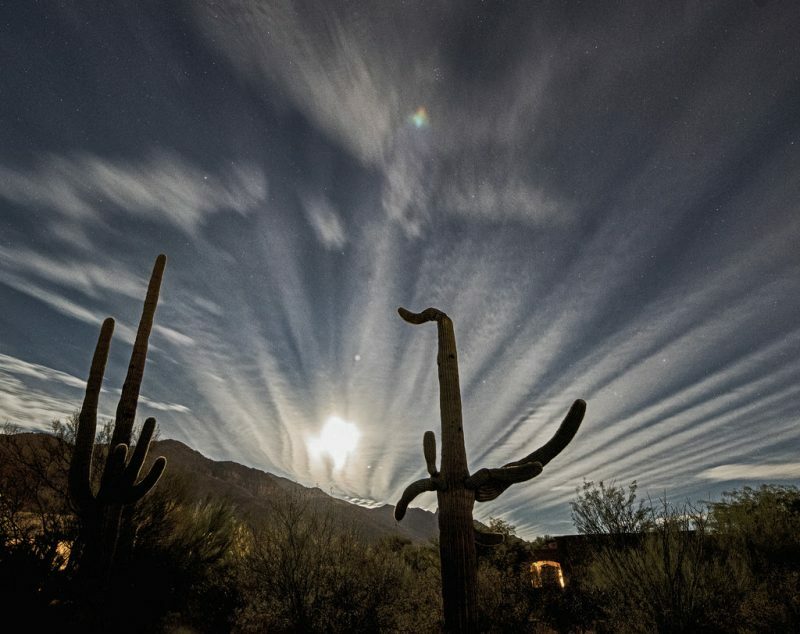 Read more about mirages from Atmospheric Optics. 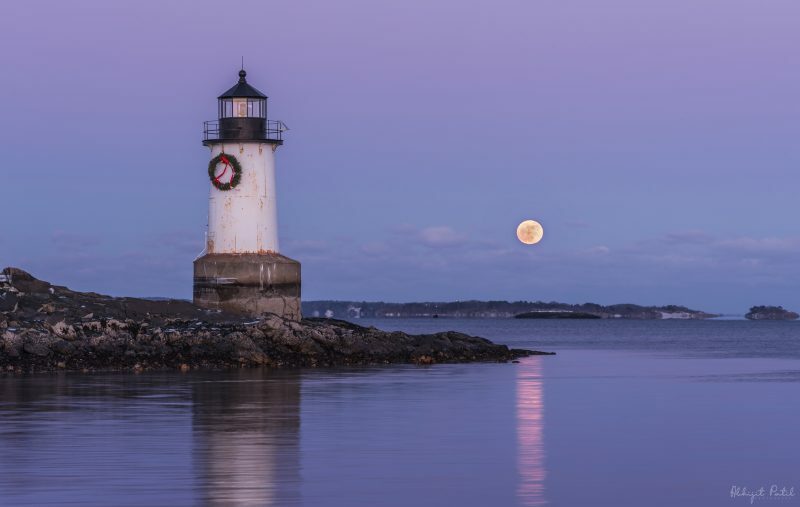 Abhijit Patil in Salem, Massachusetts wrote: “I went out to witness the first full moon of the new year and it was a soothing sight.” He also said this was the first moonrise he’s shot in 3 years of photography practice. 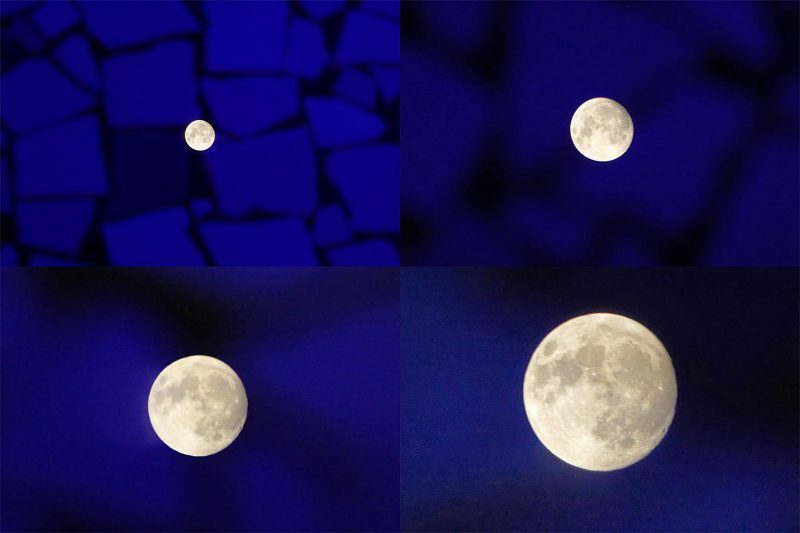 Nice one, Abhijit! 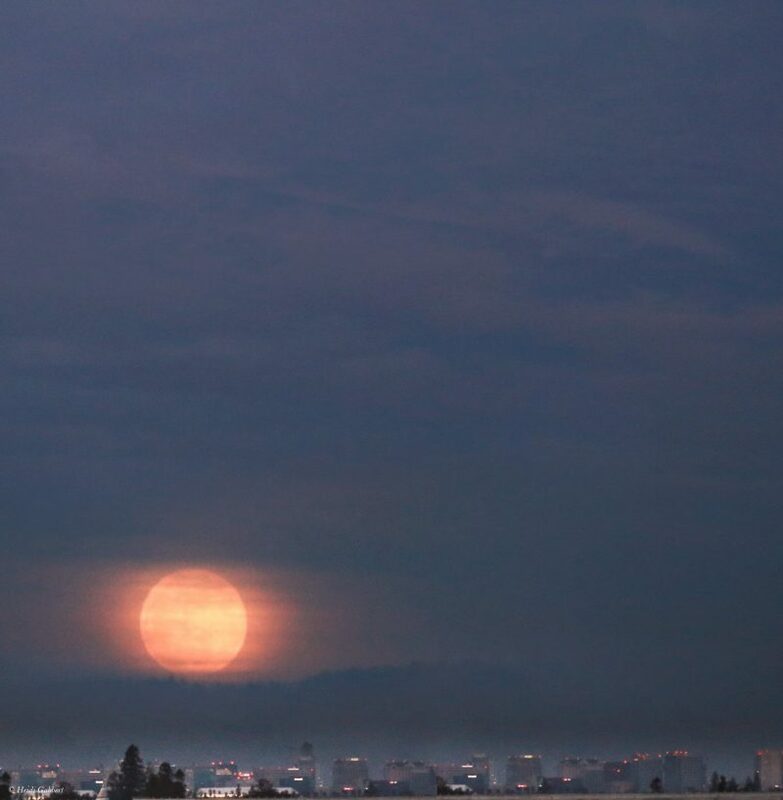 Heidi Gabbert in San Jose, California wrote: “New Year supermoon – January 1, 2018 – giving us a glimpse through the cloudy sky. 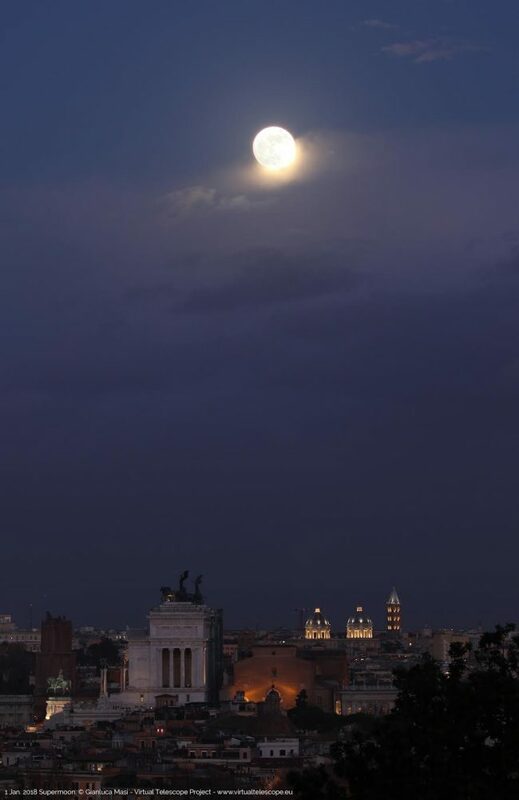 The first of two full moons occurring in January.” True, and the second one on January 31 is also a supermoon – and a Blue Moon – and will undergo an eclipse! 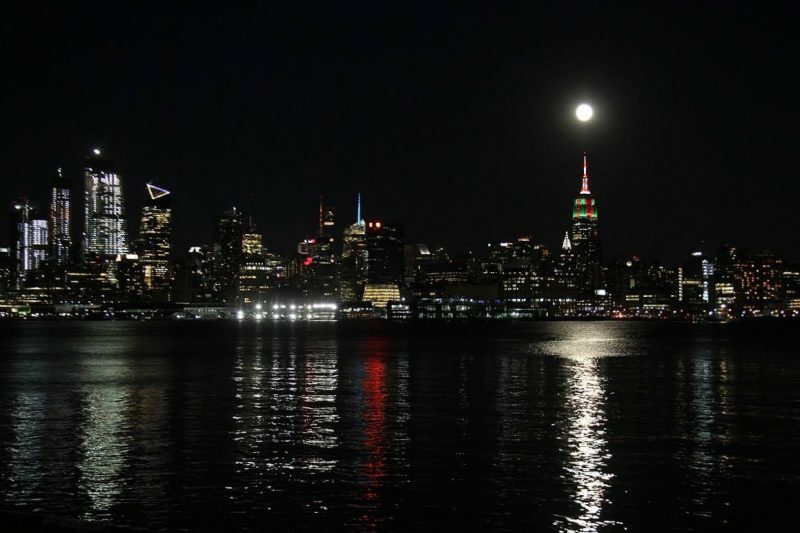 Chirag Upreti in New Jersey caught the supermoon rising over midtown Manhattan. 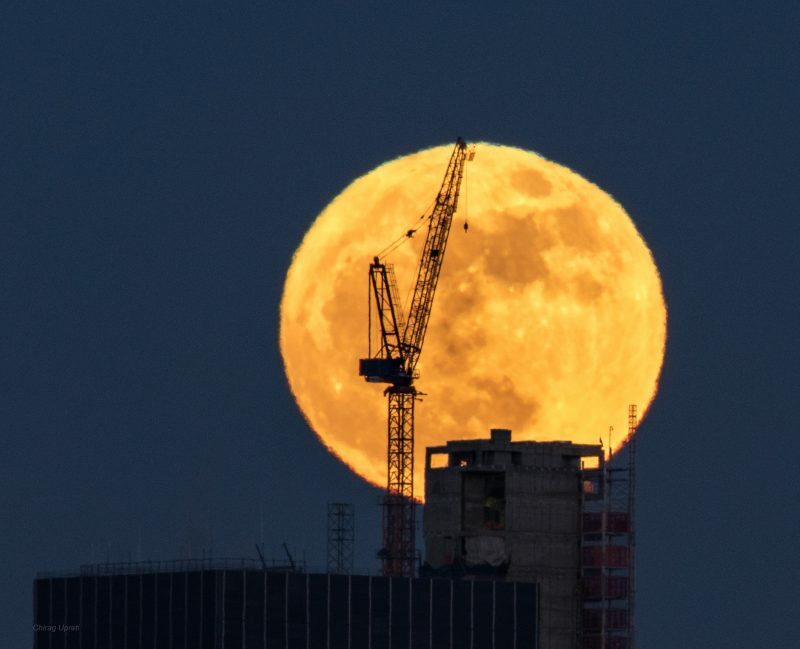 “I guess, after the holidays, even a supermoon needs a little help from a super crane to get it rolling!” he wrote. 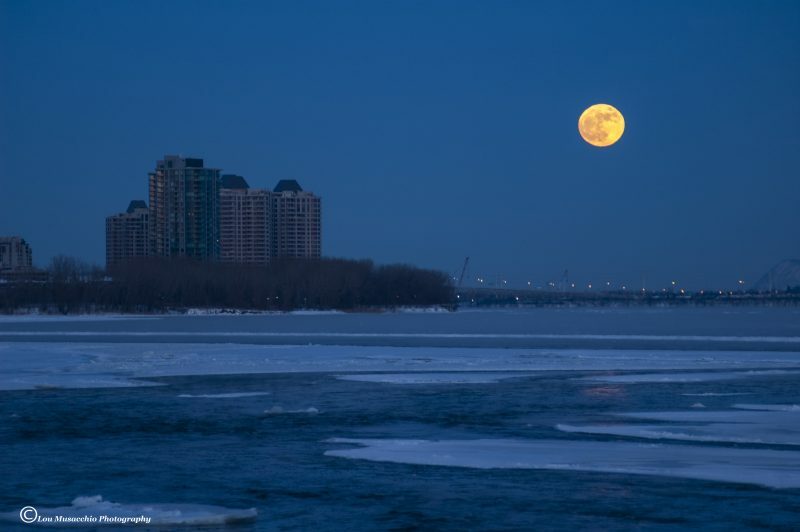 Supermoon rising, from Bridget Borchert in Minneapolis, Minnesota. 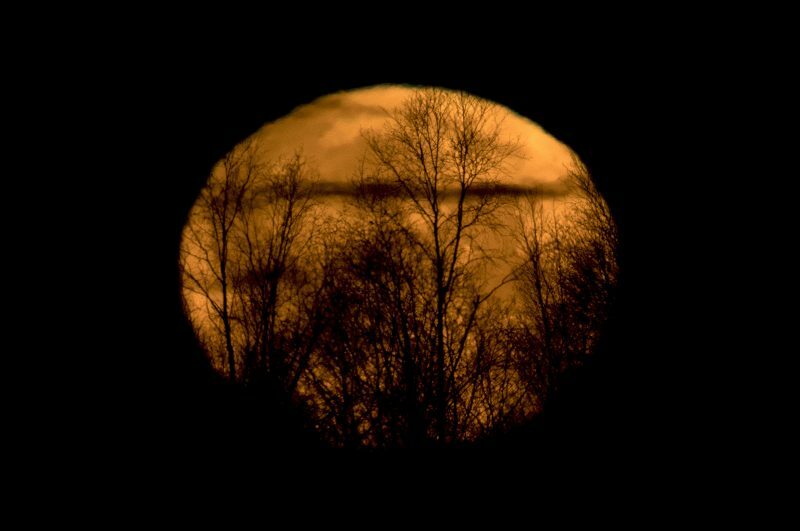 Supermoon setting behind the trees in Anchorage, Alaska, via Doug Short. 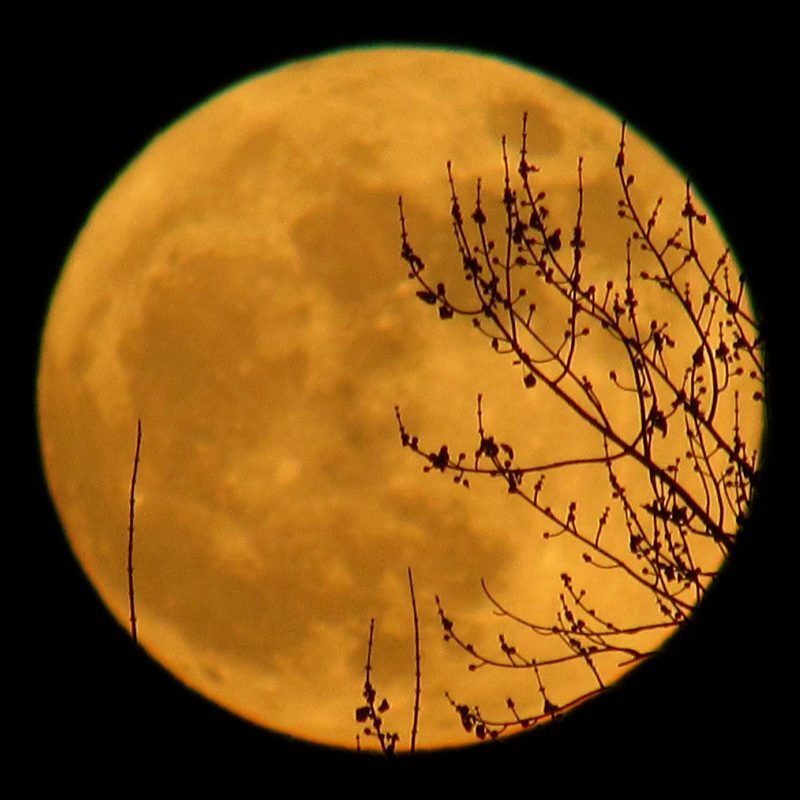 Mike Cohea caught the rising supermoon from Rhode Island and created the video above. 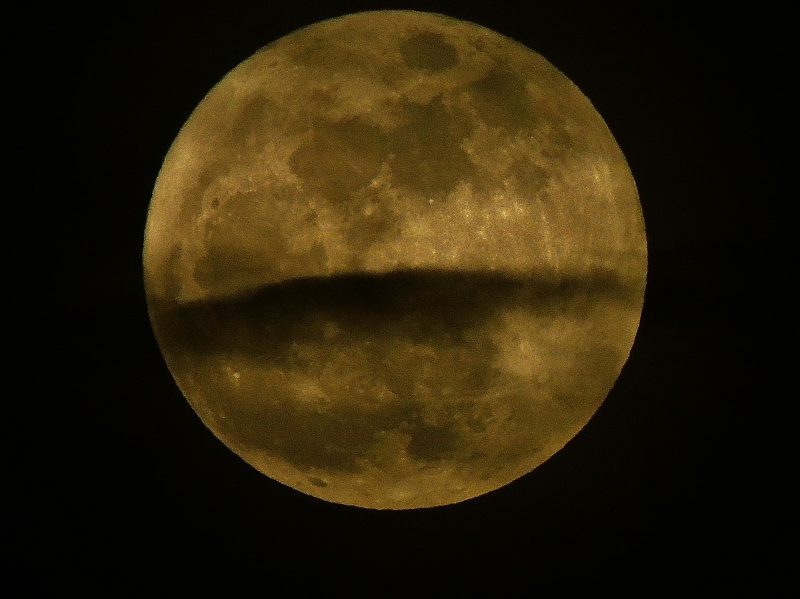 Another one from Eliot Herman, who wrote: “The supermoon is almost too bright to look at through the telescope! 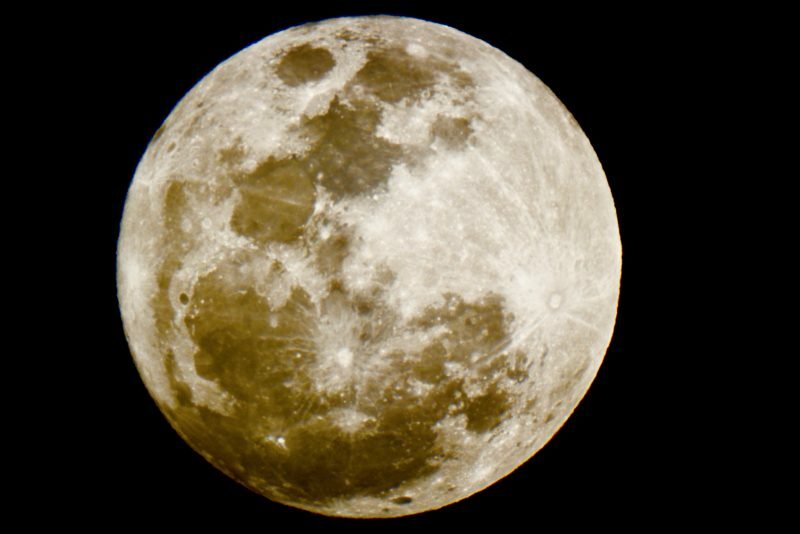 This is over 100 images blended together to preserve detail and dynamic range of the super bright orb!” Captured from Tucson, Arizona a few minutes after the exact moment of full moon under slightly hazy skies. 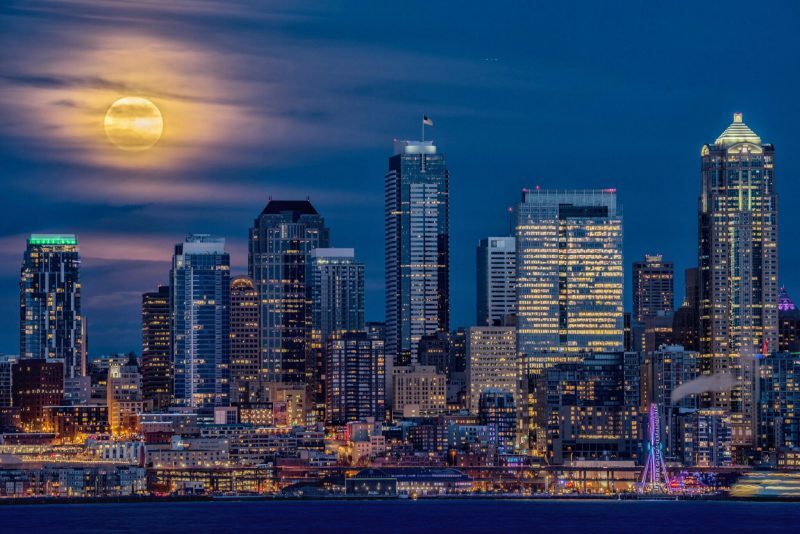 Read more about how Eliot made this composite. 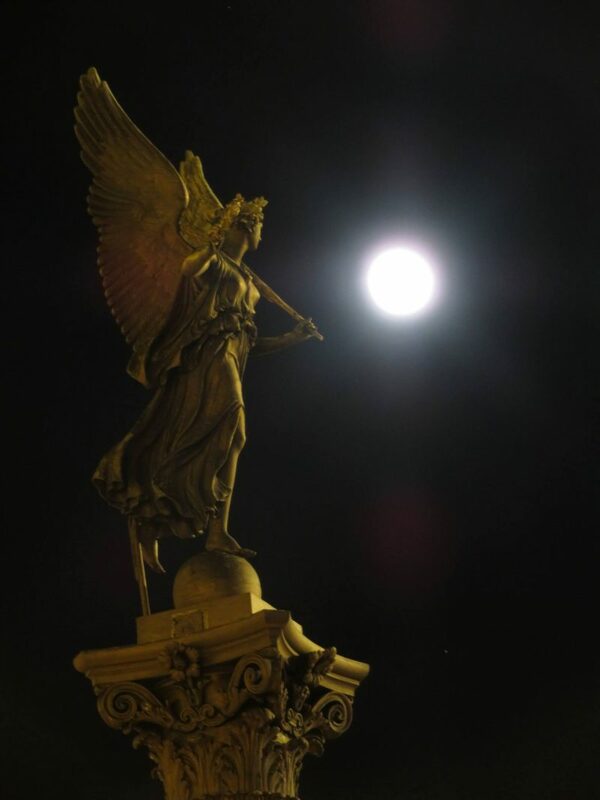 “Happy New Year!! 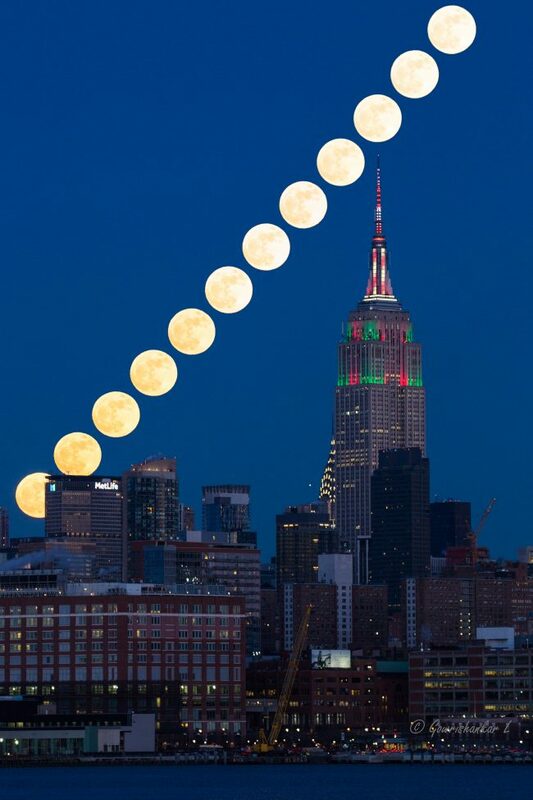 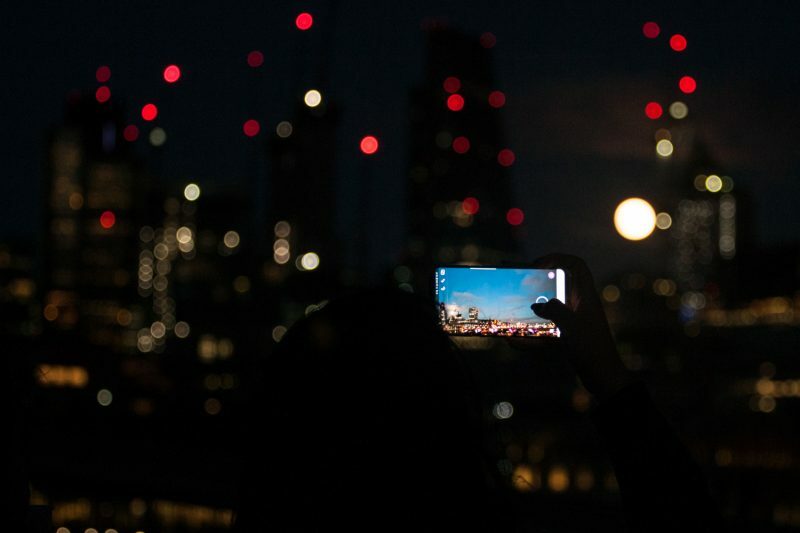 !” wrote Alexander Krivenyshev of WorldTimeZone.com, who captured the New Year’s full supermoon above the Empire State Building in New York City. 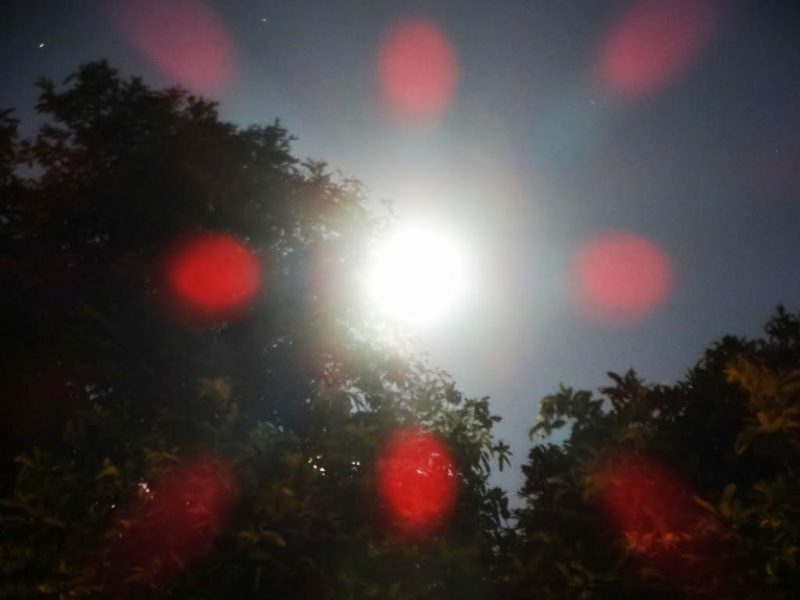 January 1, 2018 reflecting in a swimming pool, with blue underwater lighting switched on, from Peter Lowenstein in Mutare, Zimbabwe. 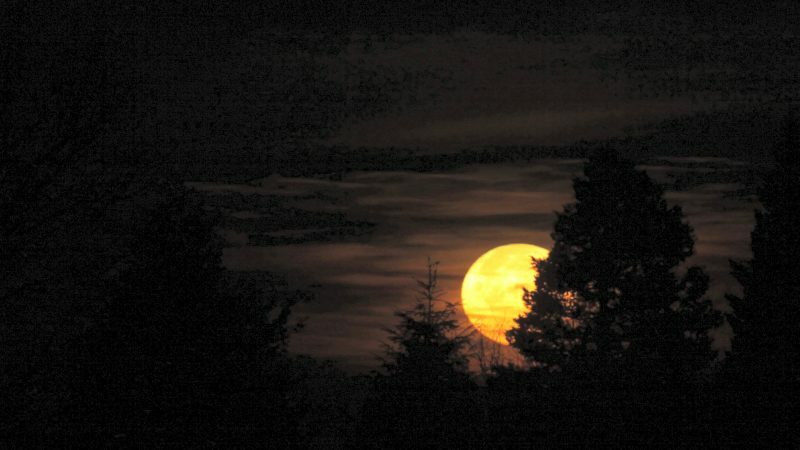 Supermoon from Greg Redfern in Virginia. 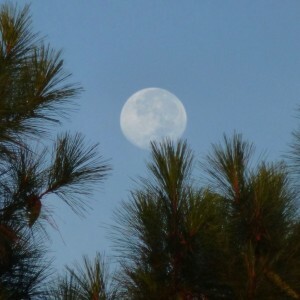 Supermoon from Andy Bentley in California. 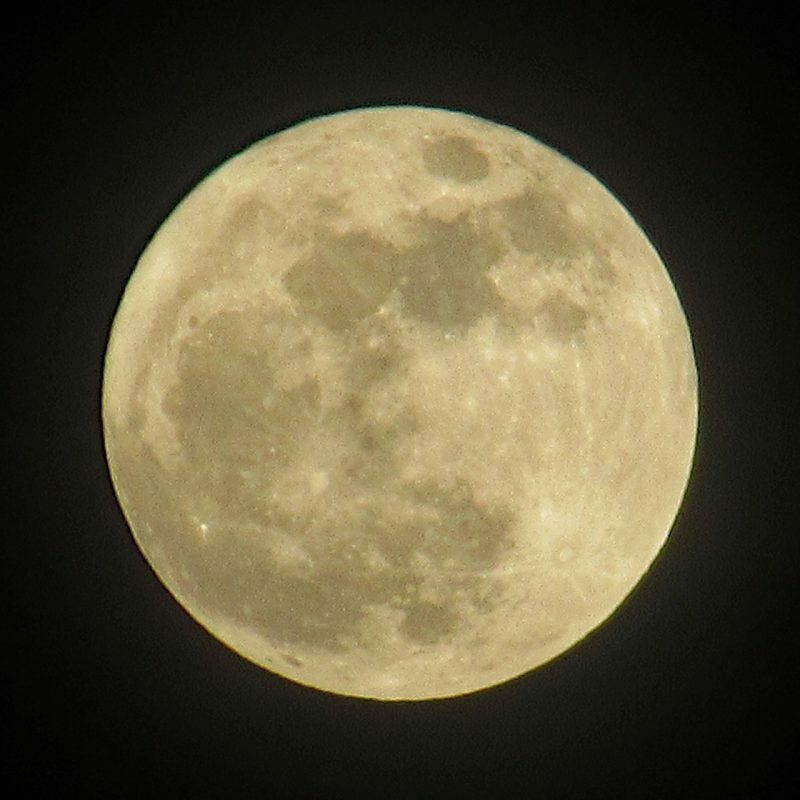 Smokey supermoon from Greg Bishop in Los Alamitos, California. 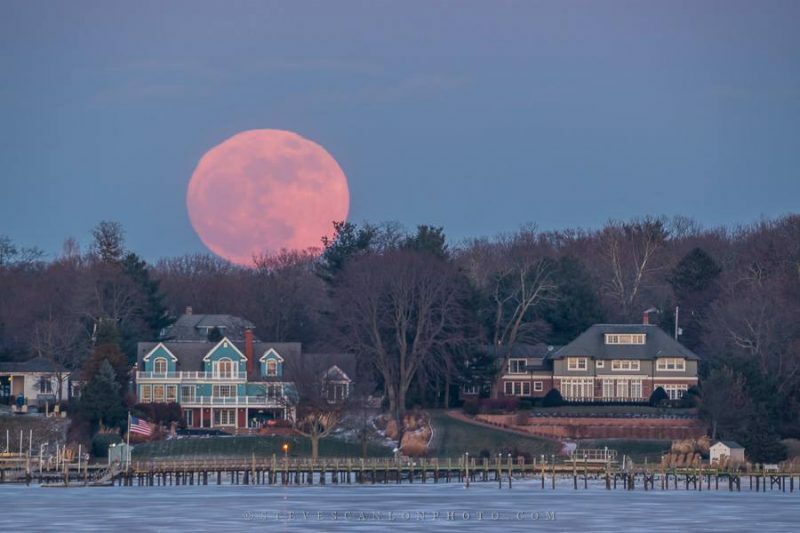 He shot this through light clouds and fireplace smoke. 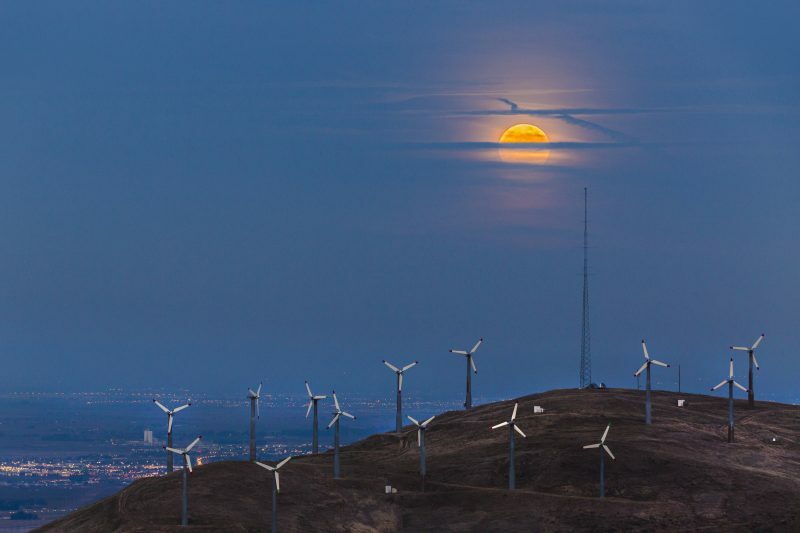 January 1, 2018 rising supermoon captured by Kwong Liew in Livermore, California at the top of a hill along Paterson Pass Road. 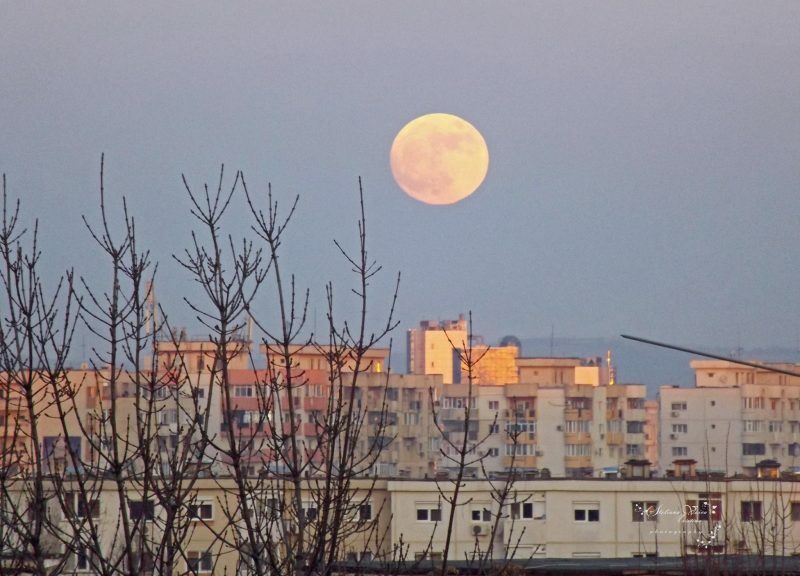 New Year supermoon January 1, 2018 – Ploiesti, Romania via Steliana Cristina Voicu. 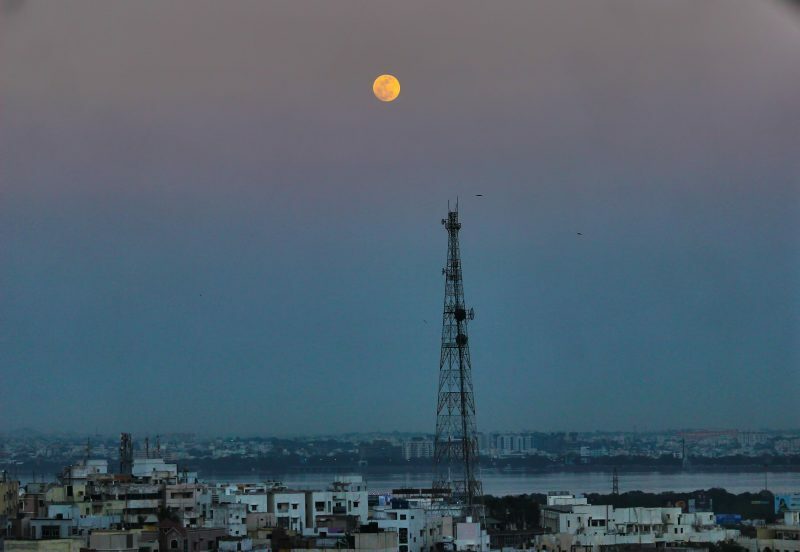 January 1 full supermoon from Karthik Easvur in Hyderabad, India. 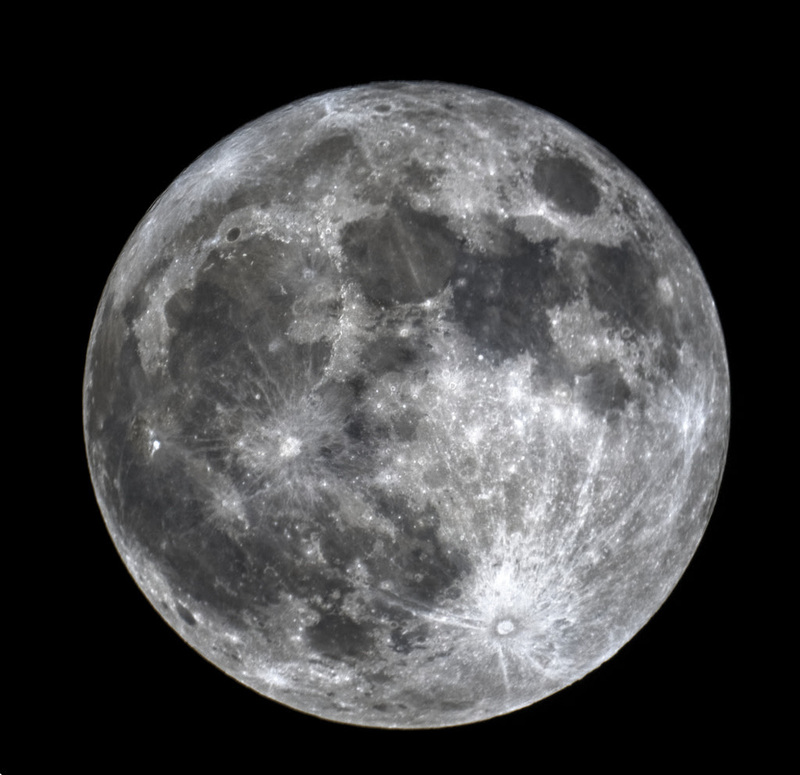 Raymond Johnston caught the January 1, 2018 supermoon from Prague, Czech Republic.